Mobile Video, Car Video & Entertainment to Go! Take the show on the road with Daryll’s wide selection of mobile video systems. 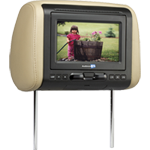 We’ve got the best in-dash car video systems on the mobile video entertainment system market. You’ve got plenty of in-car video system options, and we can help you customize mobile video for cars. Just check out our mobile video systems and talk to a Darylls’s representative to customize your mobile video entertainment system. With so many choices for mobile video entertainment systems, you’ll find a system that works best for you and your family on the go. In-dash car video systems can be set up with navigation and back-up cameras. 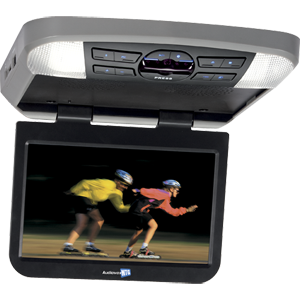 And our overhead console mobile video systems can be mounted to the inside roof of the vehicle for entertainment such as DVD players and video game systems. We offer the following mobile video entertainment systems: Headrest mobile video system units, In-dash car video systems and Overhead mobile video systems! Daryll’s can install a custom mobile video system into any vehicle. When you choose Daryll’s for all of your custom in-car video system needs, you’ll get: Style. We can fabricate consoles to hold a mobile video entertainment system seamlessly into your vehicle. We’ll install a mobile video system to match your current interior. You’ll never know the mobile video entertainment system didn’t come with the car, and the automobile value will increase. Function. We can create a wireless system that enables you to move mobile video systems from one car to another. Your passengers will enjoy the road with mobile video for cars that lets them – and the mobile video system – go anywhere.